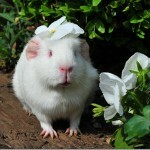 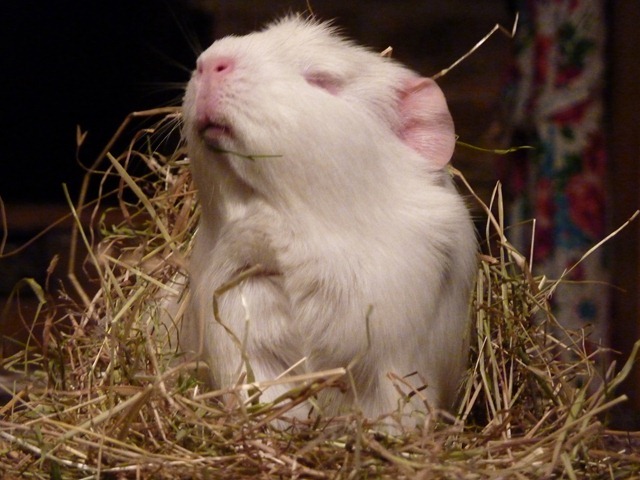 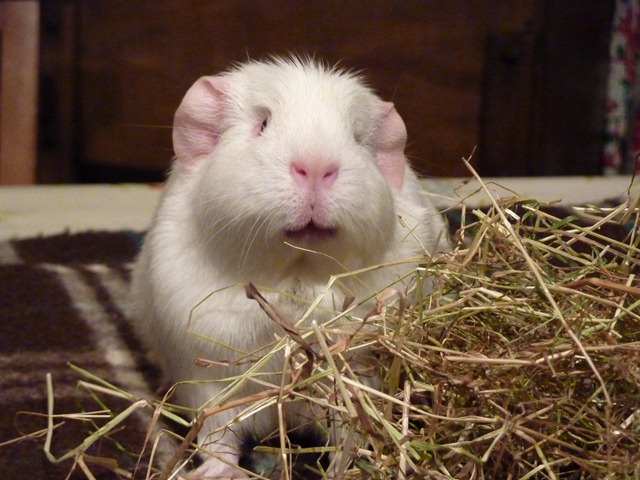 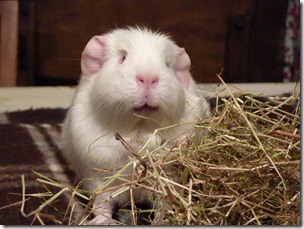 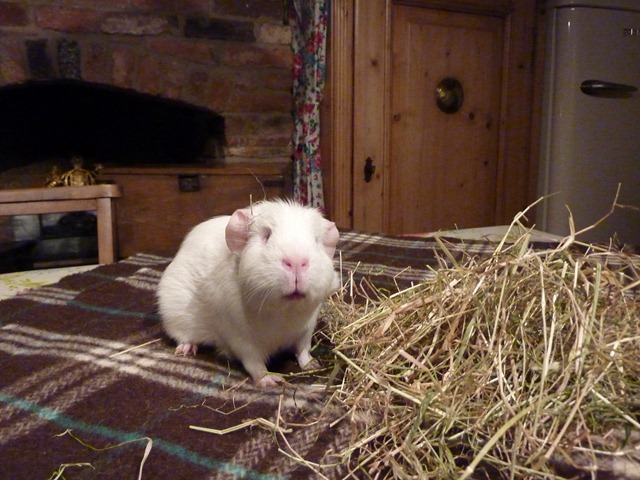 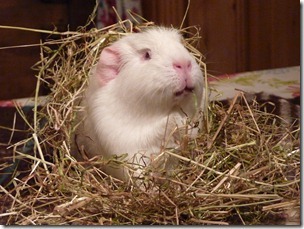 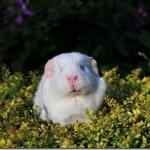 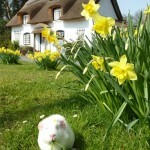 As we all know, Guinea Pigs eat a lot of hay. 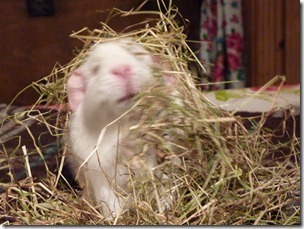 Indeed, it should be available at all times so they can graze throughout the day. 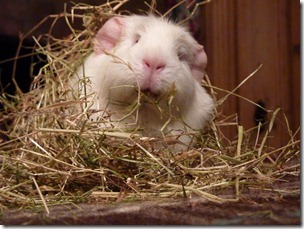 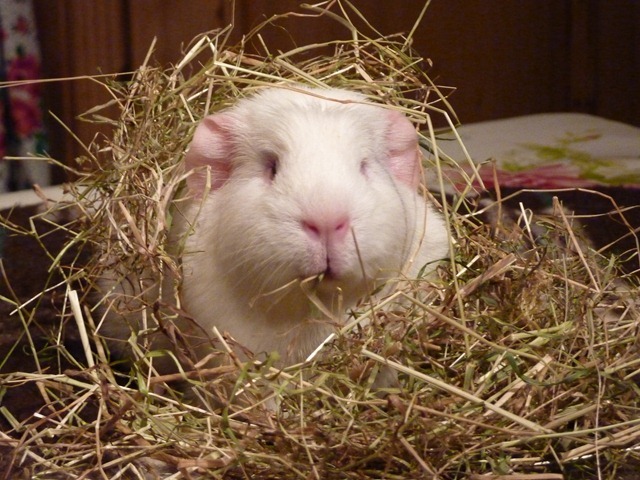 Fairy has a particular way of enjoying her hay. 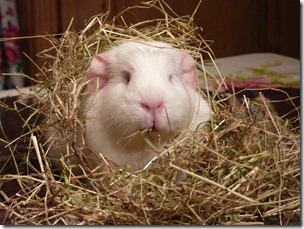 As well as eating it she likes to burrow into it, enjoying the sensation of the hay tickling her back! 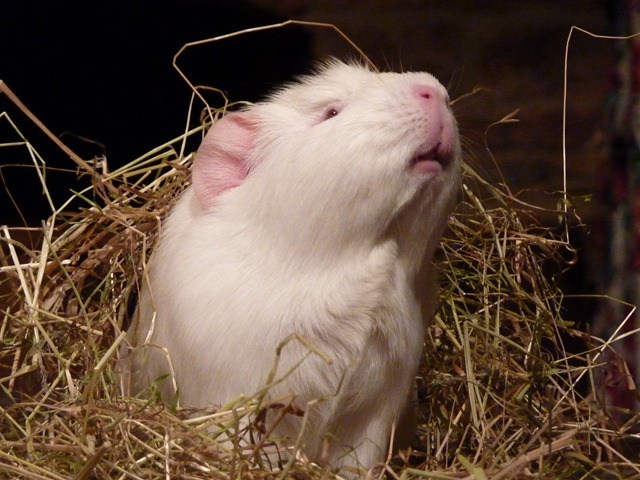 Wooo! 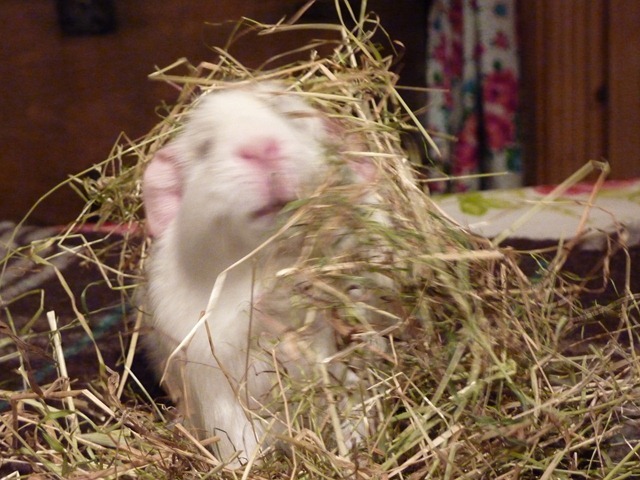 Look at this pile of hay! It’s almost as big as me. 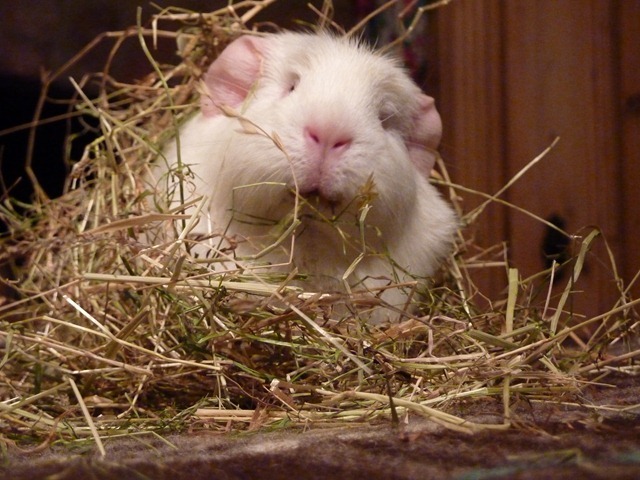 Hum, very tasty . . . . nom, nom . . .